Rayon, acetate, and lyocell are all regenerated cellulose fibers. They originate from chemical treatment of natural materials. 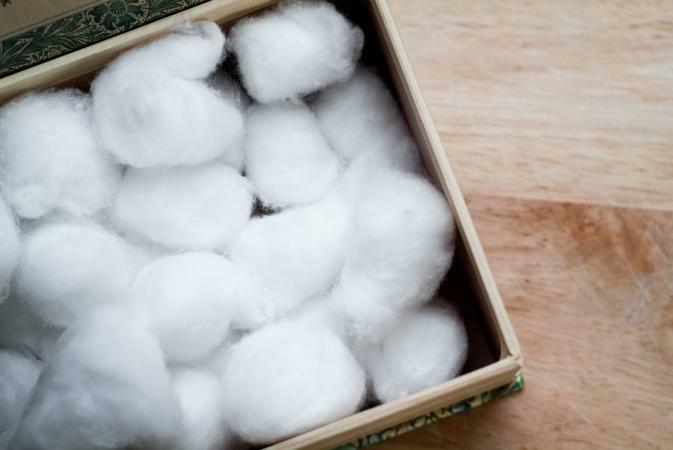 The materials most often used are cotton fibers too short to spin into yarns or wood chips. The Federal Trade Commission establishes generic categories of fibers for regulation and labeling purposes. The generic classification "rayon" includes several variants. Viscose rayon is the most common form. A variation of viscose, high-wet-modulus rayon was produced in 1955 with trade names of Avril and Zantrel as a modification to generate high strength, reduce elongation, and improve washability of rayon. Cuprammonium rayon is subjected to slightly different processing. U.S. cuprammonium production ceased in 1975, but it is still produced in Japan (FiberSource Web site; Kadolph and Langford 2001). Acetate has its own generic category, which also includes a variant, triacetate. Triacetate is a manufactured cellulosic that is similar to acetate but limited in production and usage. (Collier and Tortora 2000). Lyocell was given its own classification by the FTC for labeling purposes, but it was also designated as a sub-classification of rayon. Rayon, the earliest manufactured fiber, was first patented in 1855 by the Swiss chemist Georges Audemars. It was called "artificial silk." Sir Joseph Swan, an English chemist, was inspired by Thomas Edison's incandescent electric lamp to experiment with extruding Audemars's cellulose solution through fine holes into a coagulating bath in order to create filaments for the electric light. His fibers were used in Edison's invention as well as for an 1885 exhibition of textiles his wife crocheted from his new fiber. "Artificial silk" was also exhibited at the Paris Exhibition in 1889 by the French chemist Count Hilaire de Chardonnet who is known as the "father of the rayon industry" because he built the first plant for commercial production of "Chardonnet silk" in Besancon, France. The French chemist Louis-Henri Despeissis patented cuprammonium rayon producing what he called "Bemberg silk" as early as 1908. A British silk company, Samuel Courtaulds and Company, Ltd., began production of a rayon known as viscose rayon in 1905 and by 1911 helped start American Viscose Corporation in the United States (FiberSource Web site; Encyclopaedia Britannica 2003). Some researchers theorize that getting access to the science of producing rayon was such a benefit for the United States that it contributed to American involvement in World War I (Clairmonte and Cavanagh 1981). The invention of acetate was rapidly followed by commercial production, as early as 1910. In Switzerland, Camille and Henry Dreyfus created acetate motion picture film and toilet articles and during World War I built a plant in England to help the war effort with cellulose acetate dope for airplane wings. The Dreyfus brothers were invited to build an acetate plant in Maryland to provide cellulose acetate dope for American airplanes. The Celanese Company began commercial production of acetate fiber in 1924. Both rayon and acetate garments were available to consumers by the 1920s. Confusion between the two fibers was partially due to the Federal Trade Commission designating both as rayon. This was not corrected until 1953 when rayon and acetate were given separate generic fiber classifications. Cellulosic manufactured fibers reached peak production in the 1980s with a market share of 21 percent. Fiber was produced in North America, Europe, and Asia. By 2002, Asia had become the leading manufactured fiber producer with 65 percent of the market and cellulosics had dropped to 6 percent of fiber production (Fiber-Source Web site). Given that polyester production soared while cellulosics dropped, it seems that polyester became accepted as the most optimal "artificial silk." Lyocell, developed as a "better" manufactured cellulosic, may be fundamental to reinventing enthusiasm for manufactured cellulosic fibers. Introduced to the U.S. market in the early 1990s, lyocell is sold under the trademark Tencel by Tencel, Inc., and by the Austrian producer Lenzing AG as Lyocell by Lenzing. Promoted as a designer level apparel textile that is more environmentally friendly than rayon, lyocell promotions tended to downplay association with rayon and focused on being a new textile with considerable potential for comfort and aesthetic appeal. Although each manufacturing process has technical differences and variations in the steps, the basic procedure for the manufacture of rayon and lyocell begins with wood chips or cotton linters. These materials are treated with chemicals and subjected to various treatments, depending on the end product. Eventually these materials are reduced to a cellulosic solution. 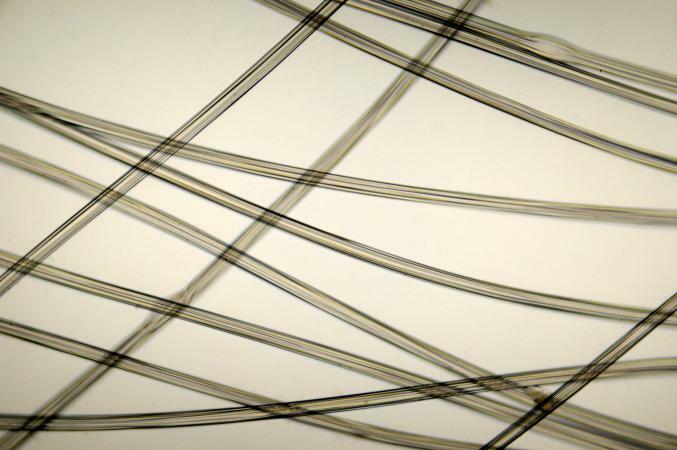 This solution passes through spinnerets, patterned after the small holes that silkworms use to extrude silk filament, and dries to become mostly pure cellulose filaments. Wood pulp or cotton linters are also used in production of acetate, however, as a result of the chemical treatments, the fiber produced is no longer pure cellulose, but rather a form called cellulose acetate. As a result, the characteristics of acetate differ from those of the purely cellulose fibers. Acetate was the first thermoplastic fiber, a fiber that will soften and melt when exposed to high levels of heat (Kadolph and Langford 2001). In the manufacture of lyocell, chemicals can be recovered and recycled, making lyocell one of the most environmentally friendly fibers to produce. Rayon and acetate involve considerable potential for hazardous chemical by-products. Efforts have been made to recycle chemicals and minimize environmental impacts, but the strict environmental pollution regulations in the United States have led many American manufacturers to discontinue rayon production. Rayon and lyocell have high absorbency, low heat retention, and soft, non-irritating surfaces that make them comfortable next to the skin in warm weather. Both can also be manipulated to emulate the aesthetic character of cotton, wool, silk, and linen. Additionally, lyocell has the capacity to simulate the aesthetics of silk, suede, and leather. By contrast, acetate has more heat retention and less absorbency and is subject to static electricity build-up. Viscose rayon and lyocell tend to be produced as staple (short) fibers and thereby have a textured surface that softens light reflectance. 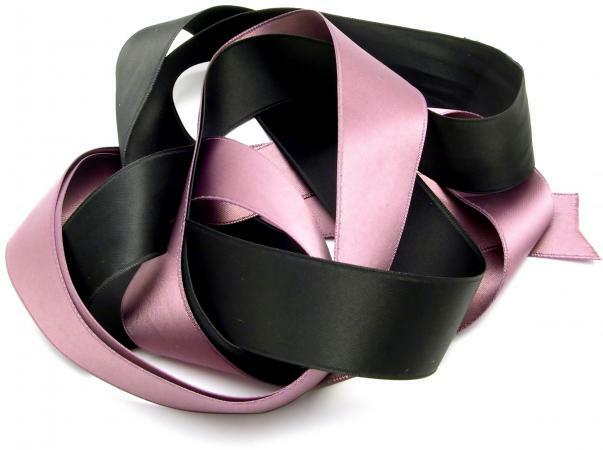 Acetate fibers are typically produced as filament fibers, and as a result acetate is more successful in simulating the luster and body of silk in such fabrics as taffeta and satin. Both rayon and lyocell dye easily although color will fade over time and with abrasion. Acetate was difficult to dye and subject to fading until synthetic solution dyes were developed to solve this problem. Acetate now is produced in a wide color range and color stability is good when fabrics are exposed to sunlight, perspiration, air pollution, and cleaning. Acetate is dissolved by fingernail polish remover containing acetone and is damaged by extended exposure to sunlight. Unless it is the high wet modulus type, rayon has poor durability and resiliency. Rayon and acetate perform better if dry-cleaned than if laundered because they are weaker when wet. Acetate also has poor abrasion resistance and is sensitive to chemicals. While rayon may shrink or be distorted after laundering unless given special finishes, acetate is dimensionally stable. Lyocell is much stronger when wet than rayon or acetate and is considered to have good durability and dimensional stability. Resiliency is better than either rayon or acetate. Lyocell can be successfully washed by using the gentle cycle and can be pressed with a warm iron. Wrinkle-resistant treatments do not greatly affect strength. Lyocell has potential to fibrillate, which results in a fuzzy appearance on the surface. This is beneficial for a textured surface but makes the fabric subject to abrasion damage. New variations developed to lower fibrillation contribute to the versatility of this promising textile. Lyocell is often manufactured in microfiber (ultrafine) form to enhance the extremely soft feel and drape. A major concern with acetate is its reaction to heat and to fire. While acetate wrinkles easily, it fuses and melts if ironed at high temperatures. Acetate also burns readily, as do all cellulosics, but spits molten pieces while burning that melt and fuse to the skin. Acetate is mildew and insect resistant. (FiberSource Web site; Kadolph and Langford 2001; Collier and Tortora 2000). Early in the twentieth century, rayon and acetate were both explored as an economical alternative to silk. The marketing of both fibers became confused as acetate was first sold as a form of rayon labeled "acetate rayon." Following World War I, which temporarily disrupted fiber development, consumers experienced problems with shrinkage and distortion of rayon and the thermoplasticity of acetate that had to be addressed. World War II disrupted access to silk fiber. Manufacturers in the United States used this opportunity to expand the market for rayon and acetate, allowing them to be accepted as new fibers rather than silk substitutes. New fibers competed with rayon and acetate in the postwar period. While consumers enjoyed their low cost, unpredictability of performance was a deterrent. Use of manufactured cellulosics has declined. The large market share of polyester in the 2002 market leads one to assume that the aesthetic of silk is still important, but better performance than either rayon or acetate tend to provide has become a higher priority (FiberSource Web site). Lyocell may be an exception to this downward trend. Manufacturers have been careful to differentiate lyocell from rayon. As a new fiber, it has a cachet of novelty and designer level taste that fits well with fashion. Recently, the versatility of Tencel lyocell is being expanded through new finishing processes that expand options for the aesthetic character of the final textile or garment (American Fiber Manufacturer's Association). Having the aesthetic of cellulosics with better performance and the aura of being good for the environment may help lyocell become the manufactured cellulosic of choice. Rayon is used for a range of apparel as either 100 percent rayon or blended to create blouses, dresses, suiting, sport shirts, work clothes, slacks, and accessories. Interior products are also frequently blended and primarily include upholstery, draperies, slipcovers, bed coverings, and tablecloths. High wet modulus rayon tends to be used in knitwear and lingerie. Nonwoven applications for rayon are also extensive due to its high absorbency. These include cosmetic "cotton" balls, industrial wipes, reusable cleaning cloths, disposable diapers and sanitary products, and medical surgical materials. High tenacity rayon can be used for tire cords and other industrial products (Collier and Tortora 2000; Kadolph and Hollen 2001; Fiber-Source Web site). Acetate fiber is primarily used for linings and also special occasion apparel, such as taffeta, satin, and brocade wedding and prom dresses. It is commonly found blended with rayon in interior textiles, such as antique satin or brocade draperies, textured upholstery, and bedspreads and quilts. Acetate is used for cigarette filters. Because it is nearly twice the price of rayon, lyocell has been targeted primarily to upscale apparel, such as business wear, dresses, slacks, and coats. Recent innovations resulting from the Tencel Inc., Intellect research program has moved lyocell into more formal wear, such as men's suits. Lyocell is also being seen in lingerie, hosiery, and casual wear. Interior uses include upholstery and draperies. Lyocell can be blended with cotton, wool, linen, silk, nylon, and polyester, a broad range of possibilities for combining fiber characteristics. New modifications have made production of lyocell knitwear optimal. Clairmonte, Frederick, and John Cavanagh. The World in Their Web: Dynamics of Textile Multinationals. London: Zed Press; Westport, Conn.: L. Hill, 1981. Collier, Billie, and Phyllis Tortora. Understanding Textiles. New York: Macmillan, 2000. Contains good illustrations. Hatch, Kathryn. Textile Science. Minneapolis, Minn.: West Publishing, 1993. Contains good illustrations. Kadolph, Sara, and Anna Langford. Textiles. 9th ed. New York: Prentice-Hall, 2002. Contains good illustrations. "A Short History of Manufactured Fibers." Available from http://www.fibersource.com.